Baseball is a kid’s game at its core. In the beginning, it’s played for the sheer joy of it. Some players forget that along the way. For others, it’s at the forefront of their mind every time they take the field. Devon Travis is one of those players. He exudes joy when he plays baseball. However, he hasn’t finished his season the last three consecutive years. Travis has every reason to be disenfranchised by the game of baseball, but that isn’t the case. If anything, it seems like he loves baseball now more than ever. For the past three consecutive seasons, Travis didn’t finish the year on his own accord. In September of 2015, he had season-ending shoulder surgery. In 2016, Travis suffered another knee injury and was last seen hobbling off the field during Game 1 of the ALCS. Last year, he was on track to make a late-season return, but the Blue Jays shut him down after Travis experiencing a setback during his rehab. On Sunday February 25th, Travis returned to the field for the first time since June 4th of 2017. It’s been eight months since he’s been in a real baseball game. Despite being away for two-thirds of a year, Travis didn’t miss a step. In his first Spring Training game, he checked all the boxes. There were no ill effects from his injury from last year and Travis even displayed his range on a few plays. More importantly, though, Travis is happy to play baseball again. “It was fun. It’s been a long time. Just happy I can get out there. Awesome putting back on the uniform, putting on cleats and hearing my name called. It was a good day. John Gibbons said Travis was “bouncing around really well”, which is the perfect description. “Bouncing” is the superlative you’d expect to hear about a player like Travis who hasn’t played live baseball since last June. During this Sportsnet interview following his first Spring Training game, Travis couldn’t stop smiling. 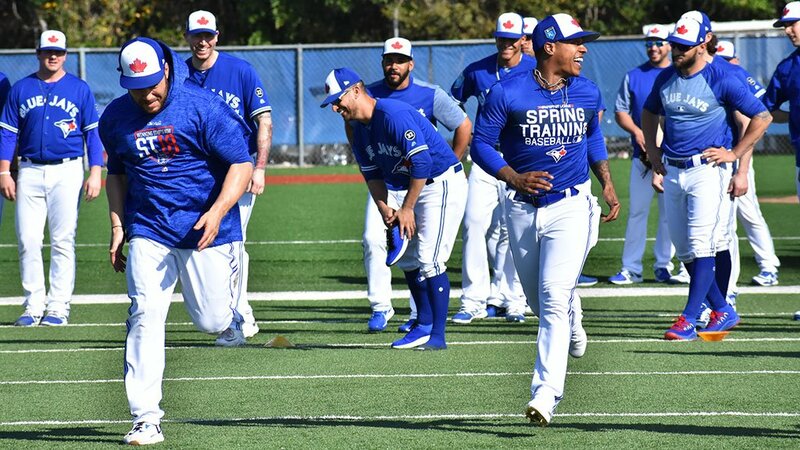 It was reminiscent of the Blue Jays’ second baseman of old and not the teary-eyed Travis from last September who suffered a devastating setback during his rehab. Remember how Travis hit a home run in his MLB debut on Opening Day at Yankee Stadium in 2015? He ran the bases at a breakneck pace. That’s how excited he was. It looks like Travis has that spark back again. In retrospect, the Blue Jays rushed Travis back too quickly last year. Initial reports said he would miss the start of the 2017 season, but then his timetable was suddenly bumped up and even Gibbons noted that Travis “lost a lot of weight” last Spring, suggesting it was in an attempt to take the pressure off the injury. Make no mistake, the 2018 Blue Jays are at their best when Devon Travis is healthy and in the lineup every day. It’s no coincidence the 2017 Blue Jays were at their best with an 18-10 record in May when Travis was the Blue Jays’ best hitter. That month, he posted a wRC+ of 167 and collected 20 extra base hits. When healthy, he solves a lot of problems for this club. Travis becomes the de facto leadoff hitter and becomes a table-setter ahead of Josh Donaldson. Travis also fills a premium position on the diamond, one where he’s a plus bat and an above-average defender. The most admirable thing about Travis is his unwavering optimism. After suffering season-ending injuries the past three years, Travis has every right to be pessimistic or unsure about this upcoming season. Instead, as he entered his first Spring Training game of the 2018 schedule, he was beaming ear-to-ear. After having the game taken away from him the last three years, it seems like Travis grasps the gravity of what’s going on here. When you suddenly lose the grip of your livelihood, nothing is more exciting than getting it back. Travis is just happy to be back playing a kid’s game once again. 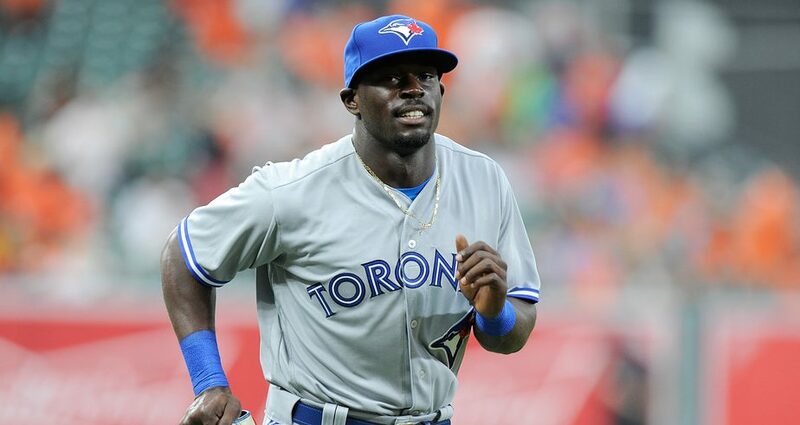 Is Anthony Alford Getting Enough Attention This Spring?